Evergreen’s CEO Geoff Cape on why ‘place’ is paramount as we build better cities for the future. By: Geoff Cape, founder and CEO of Evergreen. For over 28 years, Evergreen has been at the centre of transforming public spaces into great places across the country. This act of ‘placemaking’ - where people come together to plan, design, manage and program shared-use spaces – is the driving force behind our efforts in shaping better cities in the future. Canada is a great city builder. Our cities are home to people from around the world, viewed by residents and newcomers as a place of tradition, refuge, openness and opportunity. But with increasing polarization in cities, it’s more important than ever to build communities that create space for innovation and create a sense of identity, belonging and connection to place and others. 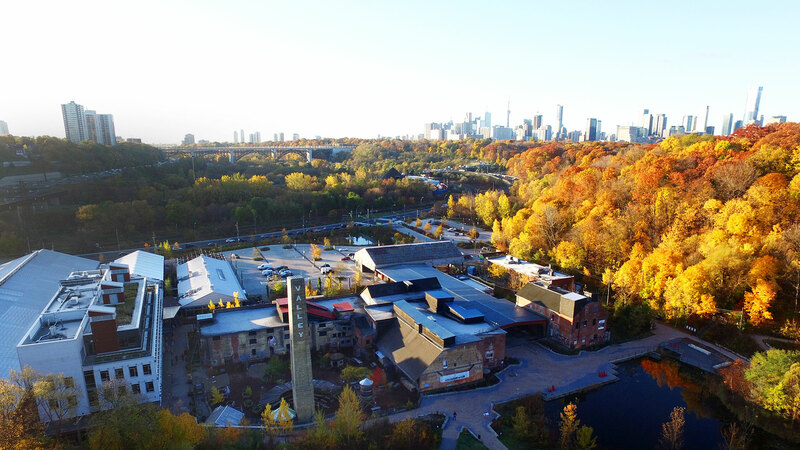 Our placemaking stems from our work at Evergreen Brick Works in Toronto - a destination where visitors can experience sustainable practices – and expands to communities across the country where we work with residents, schools, and municipalities to revitalize their cities. Last year, we joined forces with partners to launch Future Cities Canada, a collaborative platform that brings together people, networks and innovations from across sectors to find new ways to address the challenges facing cities. What we continue to learn is that building stronger Canadian communities means convening community and thought leaders, engaging diverse voices and strengthening its places. How can we lead the way in making our places the best in the world? Building capacity to create smarter cities: Much of our city building work lies in providing the tools and resources needed for communities to feel empowered to accelerate urban revitalization. This year we are working with our Future Cities Canada partners and lead technical partner OpenNorth to support the Smart Cities Challenge winners, finalists and future applicants as they implement their smart cities strategies for urban centres, mid-sized cities, small, remote and Indigenous communities. This important work is supported through funding from the Government of Canada’s Smart Cities Community Support Program. For 2019, we continue to look beyond smart, working towards integrating ‘openness’ into data policies to help cities achieve more accessible and equitable outcomes. Some of our recommendations are in the report Getting to the Open Smart City. More participatory planning in cities: Engaging community members and municipalities to co-create better places has been key to our city building projects. 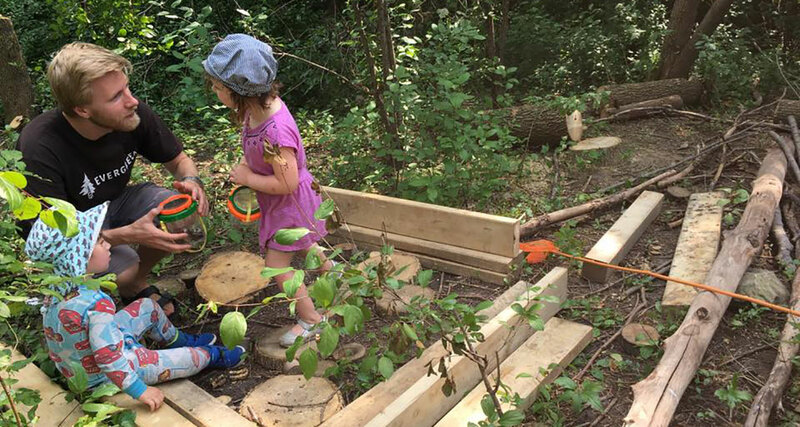 This unique approach to collaboration has resulted in the creation of two local parks in Kitchener, Ontario as part of Evergreen’s Neighbourhood Nature Play Program and a revitalized school grounds at the Elginburg & District Public School, transforming a previously wet and unusable area into a flourishing space for students and community members year-round. We have been working with the City of Vancouver for our Climate Risks project, engaging with some of the city’s most vulnerable, including Downtown Eastside residents and seniors across Vancouver, to understand how they deal with extreme heat and how the city can better support them. The power of convening: Collaboration is the driving force behind accelerating urban innovation in Canada. Last year we brought 850-plus urban thought leaders and city builders to Evergreen Brick Works for the inaugural Future Cities Canada Summit. 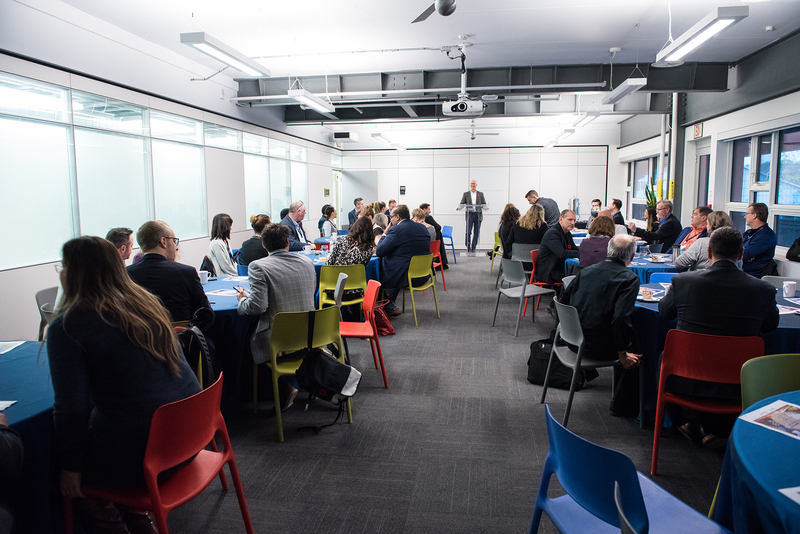 The event was hosted at the TD Future Cities Centre, the site of the recently redeveloped historic kiln building that has been transformed into a venue to showcase and celebrate ideas and solutions on thriving and sustainable cities from across Canada and the world. We heard from more than 120 leaders about their work in creating real solutions to the challenges our cities are facing. We can’t wait to build on this at the 2019 Summit. Rethinking how we build and plan cities: As our cities prepare for unprecedented growth, we need to be more efficient in how we use our land for new housing and introduce gentle density or ‘missing middle’ housing through the addition of laneway housing, secondary suites, townhomes and beyond. With the Canadian Urban Institute, we offer one of many solutions to our pressing housing challenges in the report What is the Missing Middle? A Toronto housing challenge demystified. We are also currently undertaking broader work to understand future trends and challenges in how we build cities. Our Urban Futures is a phased research and foresight planning project that brings together a multi-sector group of stakeholders, beginning with Deloitte, OCAD University, University of Toronto and Century Initiative, to establish an informed, effective and long-term strategy for Canada’s cities. The future – 2019 and beyond – is already here. The time is now to invest in our collective city building competency for all to thrive.